My visit to the Gower Peninsula started well. A long hilly and winding single track road led through the dappled light of mature beech and oak woodland, still wonderfully green in early August. There’s a lot to be said for high rainfall. Arriving at the delightfully converted Victorian lodge hotel was like stepping back in time. Idyllic, that is, until I came down to breakfast the following morning. Confronted with ‘Full Welsh Breakfast’ on the menu, I asked the server what this meant. ‘No, we couldn’t possibly do that’. And that is the problem. 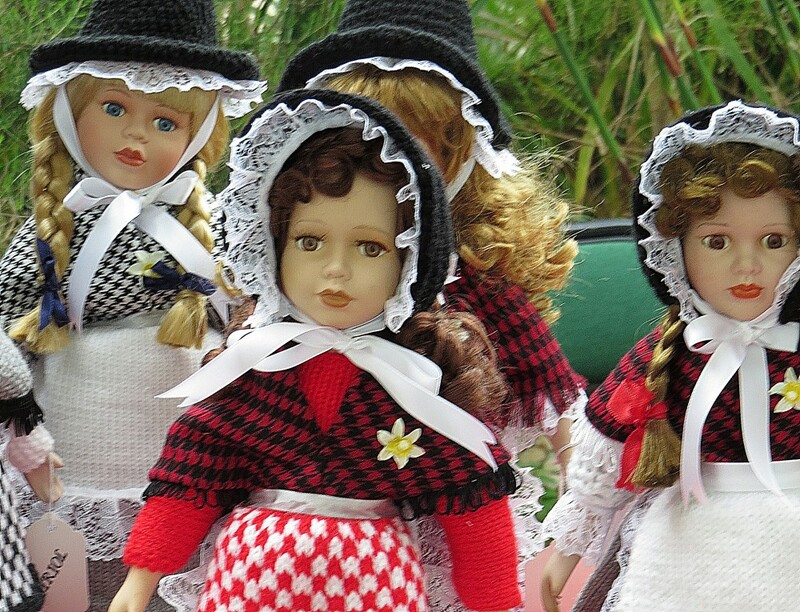 After seven centuries of being smothered by the English there is an unresolved struggle for national identity and a predilection that because something is defined as Welsh it is somehow better and more authentic. 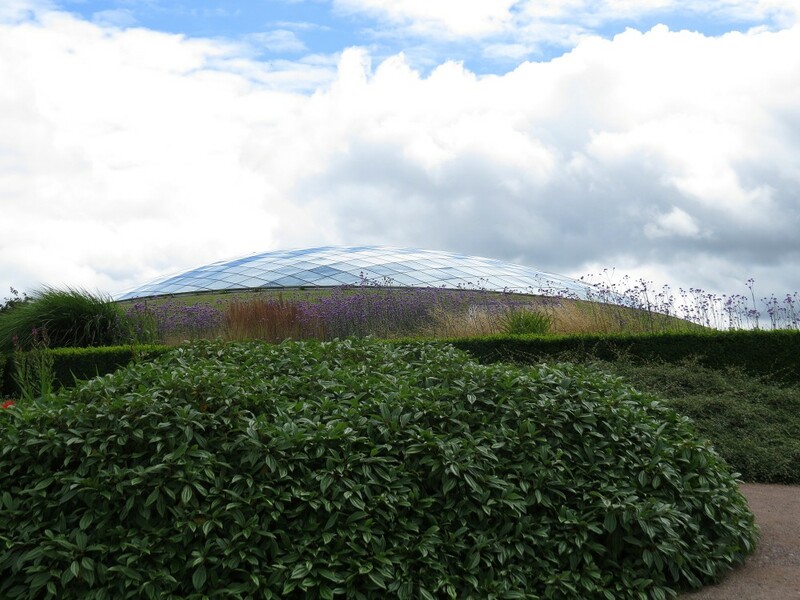 The reason for my stay was to visit the nearby National Botanic Garden of Wales, and particularly Foster and Partners’ amazing elliptical Great Glass House, like a giant soap bubble pushing up through the areas of mown grass surrounding it. This is design excellence of the highest standard and a fabulous iconic feature that makes the garden unique. But the stunning layout inside and planting from the world’s five Mediterranean climates also has the highest international credentials, having been conceived by great American landscape designer Kathryn Gustafson. 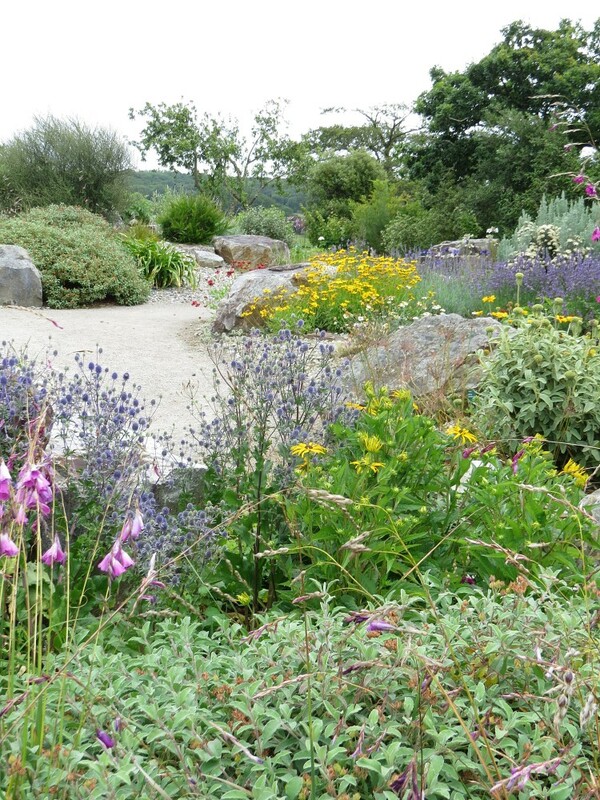 However, opening in 2000, visitor numbers at 100,000 a year were half what were projected and following financial crises in 2005 and 2010 the Welsh Assembly and local County Council stepped in to fund the garden. Of course there were recriminations the main excuse being that unlike nearly all other botanical gardens, this garden had a rural rather than an urban location and being new it would take time to settle in. I don’t think either of these arguments is valid. 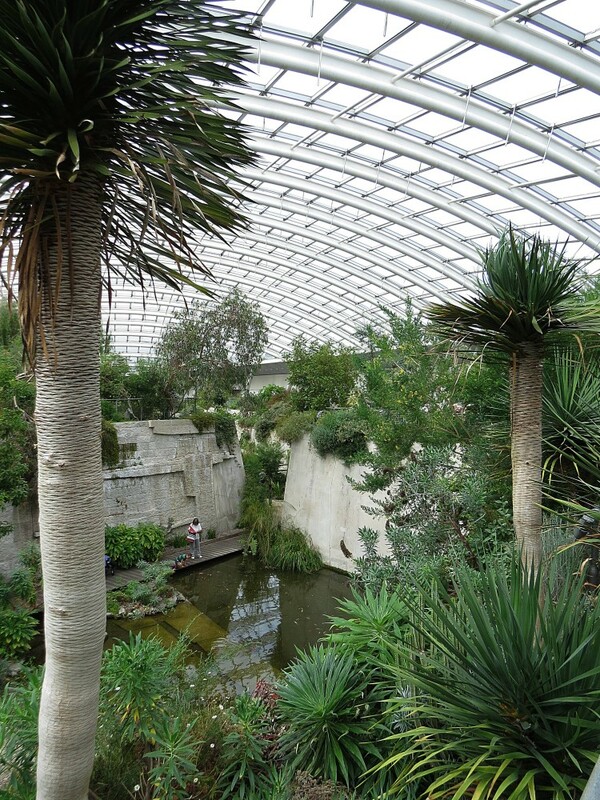 The Eden Project is equally remote and new (although of course far more commercial in concept), but with vision, well-considered overall design and a switched-on PR department that garden manages to attract over eight times as many visitors as this Welsh garden. To my mind the Botanic Garden just doesn’t engage the visitor. Having a great location near to the garden entrance The Double Walled Garden was formally the vegetable garden to Middleton Hall which burnt down in 1931. It is laid out in four quadrants with a pretty but unexceptional collection telling the history of flowering plants. Why not have a well-labelled collection of native Welsh plants, of plants from broadly similar climates to Wales such as Tasmania, New Zealand’s South Island, China’s Sichuan and Yunnan provinces and the temperate forests of Chile? Endangered species from these regions could be shown, and invasive interloper weeds that are changing the native flora. That would make this prime garden location unique and special and give a genuine sense of Welshness. The clunky Tropical House in the Double Walled Garden was designed by New York based Welsh architect John Belle and like the Welsh architectural student designed Aqualab, a learning facility sited the other side of the lake. is another misguided nod to Welsh sensitivities. It seems a pity that Norman Foster wasn’t commissioned to design these two buildings and then the site would have had continuity and fabulous buildings. Passing along the Boardwalk, a fairly good herbaceous border (but something to be found in virtually every garden of note), the next depressing feature was the Performance Stage designed by students of The Prince’s Foundation for the Built Environment . 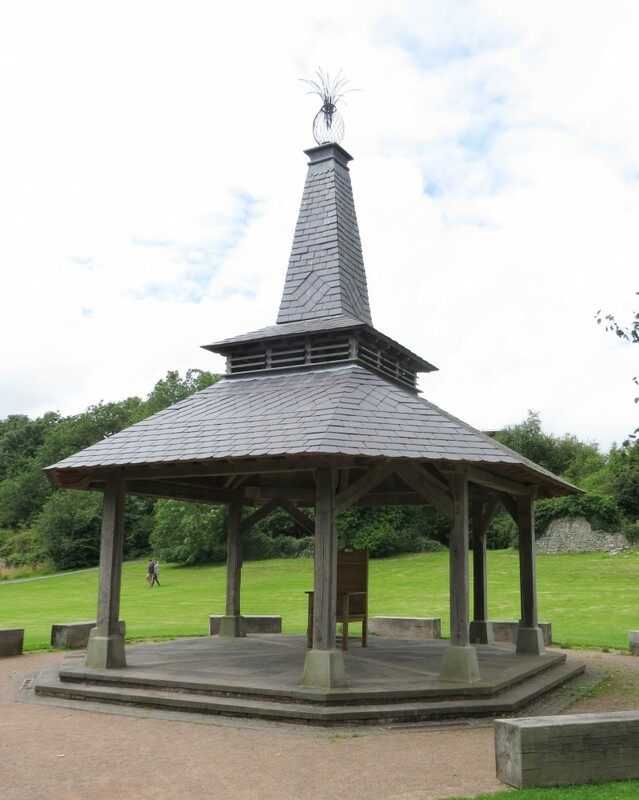 It was yet another embarrassingly self-conscious little building being a cross between a bandstand and a witch’s hat but celebrating traditional Welsh building techniques. Except that in the real world these were traditional British building techniques apart from the Welsh slate roof. After a long walk from the entrance and approaching the Great Glasshouse, the garden at last seemed to pull together. The Mediterranean planting of the Boulder Garden, and the prairie-style planting of the Wild Garden both looked great and in early August were probably at their best. 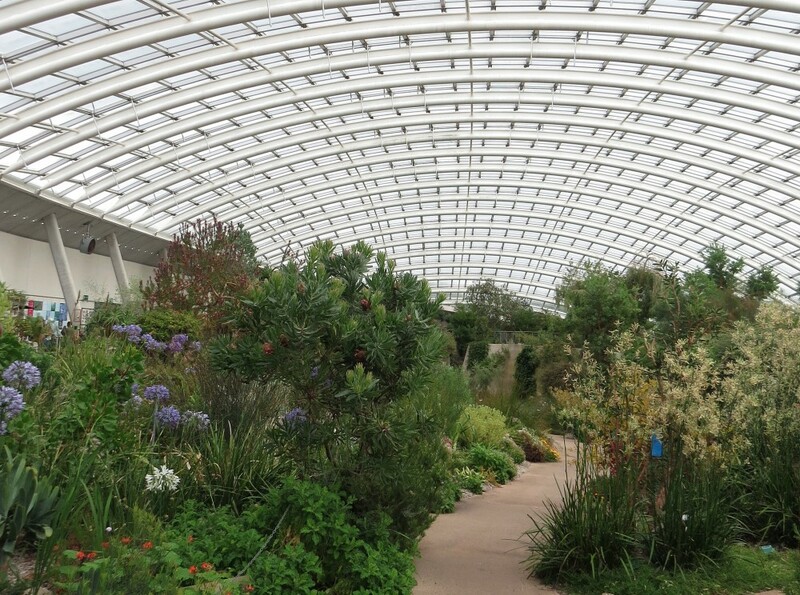 Not much to do with Wales, but at last well-designed excellence shining through and a fabulous setting for the Great Glasshouse. 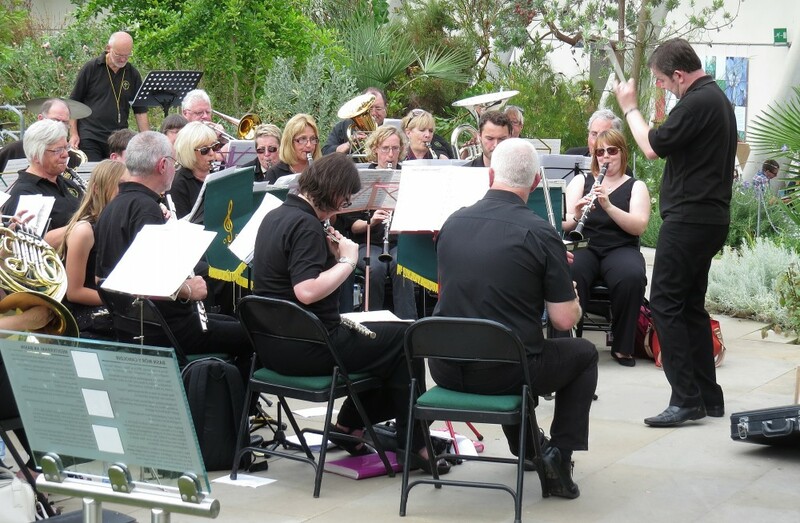 Perhaps I was just unlucky in the day I chose to visit, but the Carmarthen Symphonic Wind Band was performing in the midst of the planting of the Great Glasshouse. I hope this explained why the spectacular waterfall, the tour-de-force of the planting scheme was turned off and had become just a timid dribble down a dark slimy rock face into the shallow pool inexplicably lined with paving slabs .The main pathway through the Glasshouse was a jumble of forty Welsh Craft Fair stalls celebrating everything from traditional basket-weaving, and spinning and weaving wool to scary looking dolls in national Welsh costume (I suspect manufactured in China). I know they have to get visitor numbers up, but something more creative is needed. Disappointed and pondering whether Welshness was just to do with the past, I retreated to the forlorn cafe which was closing early and had a coffee and bag of Welsh crisps, only to discover they were from Falkirk in Scotland. I find it absurd that Welshness is negated to being a shallow marketing ploy. 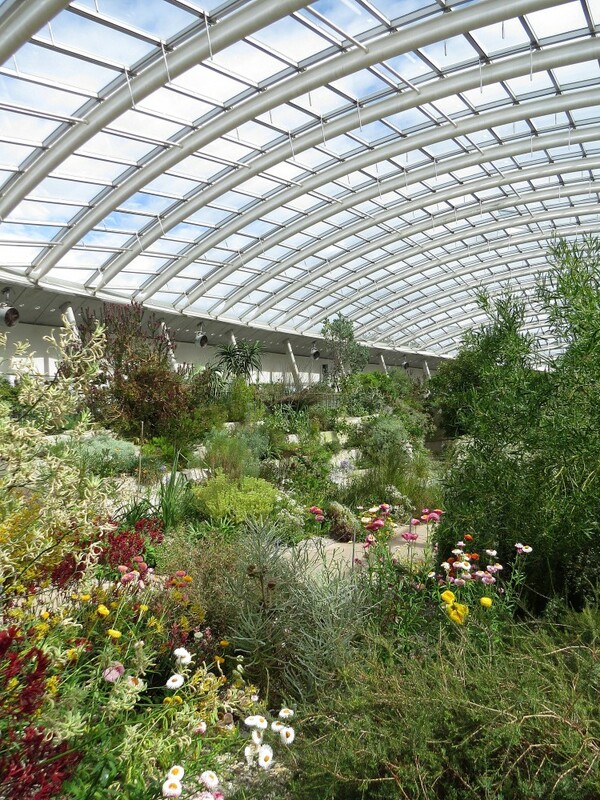 The National Botanic Garden of Wales was bravely conceived as a rallying point for a creative and resurgent Welsh culture with the Great Glasshouse and its planting contributing originality and excellence. A botanical garden should of course be about plant conservation, research and education but not at the expense of the interactive engagement and enjoyment of both adults and children. This garden needs to refocus looking to the future of Wales rather than the past.